Eric Lars Bakke / Photographer » Blog Archive » A Beaver Moon ? Viewing full moons at 8000 feet provide lots of entertainment. Often they creep slowly up over the crest of Kinder Mountain east of the house creating mysterious silhouettes. Other times the lunar glow can be so intense that night hikes or snowshoeing are better illuminated than if one had a headlamp. We had a full moon five days ago. As nighttime stole dusk the moon happened to catch my eye as I looked out the windows of the living room. It made its presence known farther to the north and east as it rose off the shoulder of Bergen Peak. There was something especially intriguing about it so I wandered outside on the deck to watch quietly and take in the crisp air as it continued to rise- emitting a beautiful luster. It kept me attentive for more than a few minutes and then I just suddenly decided I needed to make a photograph. A few days later watching a weather report I learned it was a Beaver Moon. I had always known of the Blue Moon or the Harvest Moon but never a Beaver Moon. 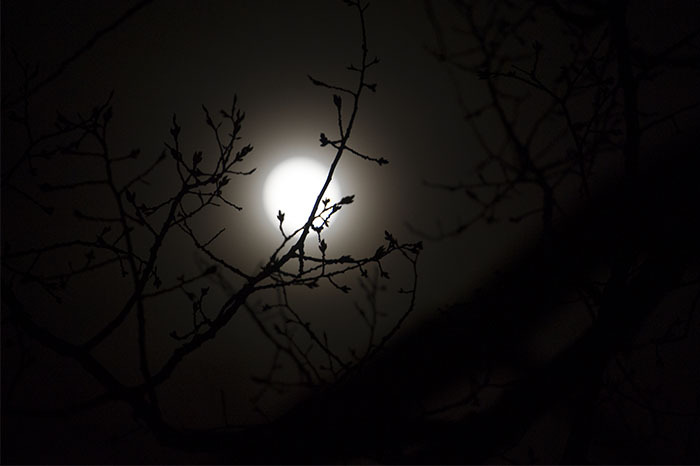 Come to find out it is the first full moon of November. And I also learned that according to American folklore it obtained its moniker because it was also the time of year trappers would set their leghold traps for beaver. Beavers, being nocturnal, also did a lot of their dam rebuilding in late fall, I suppose in preparation for winter, under the moonlit sky.